Hold on to your unit! The Department of Tourism markets Israel as the land of milk and honey, and Jerusalem as the golden city of light. The Israel Museum fits right in. The cultural site is not downtown, but close and sits right next to the Israeli parliament, the Department of the Treasury, the Supreme Court, and other government buildings you probably don't want to (and aren't allowed to) go in. But who needs those buildings when you have the largest museum in the Middle East, and one of ten largest museums in the world at your disposal, with 190,000 square feet of exhibition space. The building itself looks like a collection of modern looking boxes and has a beautiful view of surrounding hills. Built in 1965, a 2010 renovation added a spectacular underground tunnel, adding 26,000 square feet of exhibition halls. Handicapped visitors get to ride electric golf carts through it. Twelve years after the formation of the State of Israel, its first prime minister, David Ben Gurion decided that the country needed a National Museum and that it should rise in Jerusalem, city of King David. Ben Gurion was a small man who stood on his head every day because he believed that blood to the brain gives you energy. Kooky, sure, but thanks for the museum! Teddy Kollek, the longest serving mayor of Jerusalem and close friend of New York Mayor Ed Koch, relentlessly pursued renowned Jewish collectors in North America to donate their collections. He was successful, and got the support of a number of families with large fortunes and great collections. The most important archaeological find in the Middle East to date, the Dead Sea Scrolls. Giant ceramic vases with dead people inside (anthropoid sarcophagi). Objects from the rise of Christianity and Islam. Prehistoric archaeology of Israel, Bronze and Iron Ages. A special section dedicated to Jewish traditions around birth, marriage, and death. Tons of super high quality art from all over the globe. The Billy Rose sculpture garden designed by the American sculptor, Isamu Noguchi. It also houses later works by important sculptors like Magdalena Abakanowicz. A really fun part of the museum is the Youth Wing, which offers numerous activities that contribute towards the advancement of creativity in children. 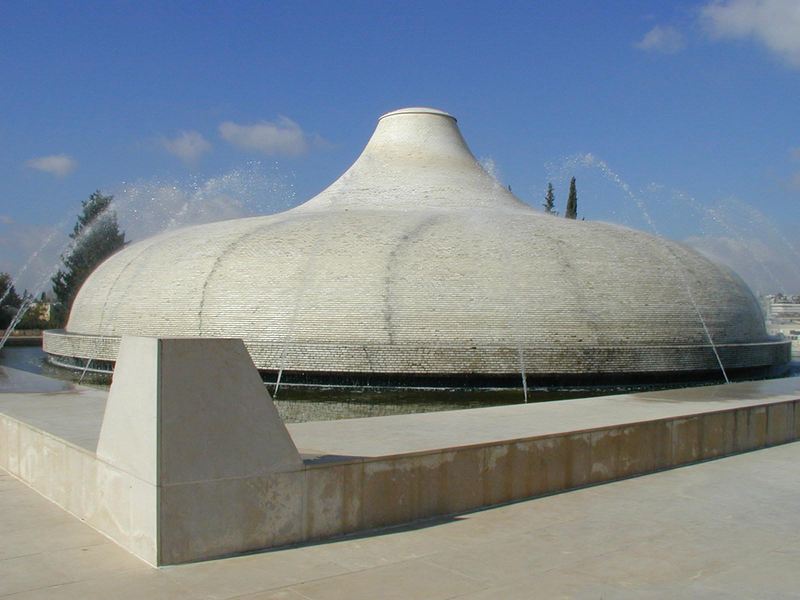 The Israel Museum (Hebrew: מוזיאון ישראל‎, Muze'on Yisrael) was established in 1965 is Israel's foremost cultural institution and one of the world’s leading encyclopaedic museums. It is situated on a hill in the Givat Ram neighbourhood of Jerusalem, adjacent to the Bible Lands Museum, the Knesset, the Israeli Supreme Court, and the Hebrew University of Jerusalem. Check out the full Wikipedia article about Israel Museum.